Today’s blog post is an ode to my favorite type of bathing suit, the strapless one piece. 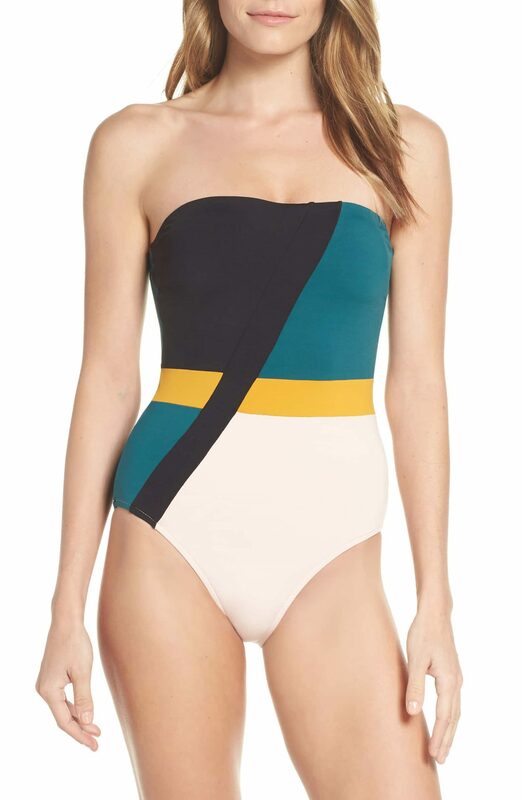 I know it may be early to be talking swimwear but I have a warm weather vacation next month and I am dreaming of resort wear. Also so many times the good suits sell out before Summer even hits so it is sometimes best to buy early! I always feel more comfortable in a one piece. As a mom dealing with kids it is easier and I also just feel more confident in a one piece- although my goal is to maybe rock a two piece this Summer (big maybe). If I am wearing a one piece I just kind of prefer it to be strapless because of tan lines. Here are a few I am loving! I patiently stalked this stripe one because it kept selling out, it finally came back in stock and I scarfed up my size. I went with a size 2- medium. It super flattering and fits really well. also comes in a white version and for some reason it is $30 cheaper? Also in Navy. Scalloped One Piece– I have this in the black version from last year and love it. Smocked One Piece- I would imagine this is so flattering and nice you can wear with or without straps. I may love this hot pink color the most! 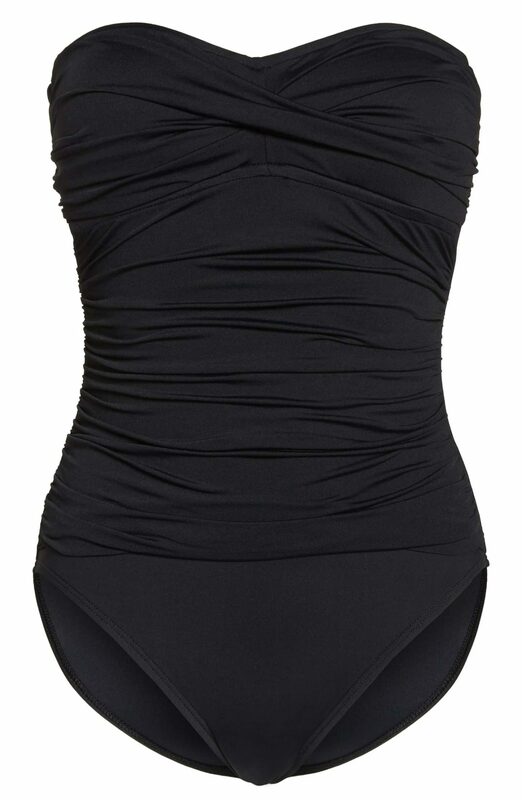 Black One Piece- this is the mother of all one piece suits. I have had this suit 7 years and still love it. It is so flattering, it is the perfect suit post baby because it hides all the lumps! Pink\Red Suit– not many sizes left in this one for a reason! Shirred One Piece– I bet this one is so flattering. The black rouched suit doesn’t have a link. Can you please link it?